Delta #EpicFail —Epic Fraud #6 : What do you mean, Property Law Act ? Fri, 15 Jul 2016 at 12:56 a.m.
Tonight, readers, we shall examine whatever vestige of credibility is left of the Gold Band Delta defence. Your correspondent is familiar with legal chicanery, and believes a telling indicator to the pathetically weak state of Gold Band’s submissions in opposition to the stay, and Gold Band’s defence to the allegations of fraud, is the reference to time bar arguments. That is, if a plaintiff has not responded within timeframes set down by the court, then, the other side says, that that material cannot be further considered. Gold Band’s counsel are clearly the rightful heir of the Kain mantle, as they have made up some time bar rules where none actually exist…. perhaps hoping that no-one, including the Judge, would notice…. what next, forged affidavits ?! What this shows is that Gold Band’s counsel are clutching at whatever straws they can find, and Delta-like, will try anything to close the eyes of the court to the substantive legal issues. Time bar arguments are the province of the desperate, and desperation is the mood du jour at Delta, DCHL, et al. However, as always, readers, there is more, and better, and we must try to find humour in the darkest of places, otherwise it would all be too much. Even a brew of Bell’s taken straight would not be enough to revive us…. Your correspondent has made much of the fact that Delta has been accused of constructive fraud in previous posts, and is firmly of the view that they have broken the law, not to mention being bereft of any sort of integrity and morality. However, perhaps we should not be surprised at this sort of behaviour from council owned organisations (CCOs). Your correspondent has been advised that the Christchurch City Council has a policy of “no admission of wrong doing”, so their lawyers have to, shall we say, “say that black is white”. There was a situation at the Noble Subdivision where the CCC lawyers claimed that consent had been given for a road entrance, which was demonstrably untrue, and the plaintiffs made a LGOIMA request to the CCC to confirm that the landowners had not given this consent – or the lawyers admit that they had no authority to admit the error. (The plaintiffs were the ones who had not given consent, so there was no question as to the facts). The LGOIMA response confirmed that the lawyers did not have the authority to admit wrong doing, and continued to say “but there has been no error” as the policy required them to do. Shades of the South Dunedin 2015 floods – perhaps Opus should open up a legal division – Opus do a lot of work for local and central government (another way of saying this, is that the private sector doesn’t touch them with an overlength barge pole) so everything starts to fall into place…. However, the really, really dispiriting news is that we don’t need to adopt a position of moral outrage at Delta’s despicable manoeuvres to deny the landowners’ prior interests at Noble Subdivision under the mortgagee sale, covered under earlier #EpicFail posts. We can remain calm, safe in the knowledge that no outrage is necessary, as Delta have found more ways to break the law involving mere incompetence, instead of fraudulent intent. No outrage can be possible for mere Delta incompetence. We are all so inured to it that any similar emotion would have been exhausted long before now. And readers, if we turn to Mr Smillie’s Partial Assignment of Debt and Security Sharing Deed (the title is a clear breach of the act in itself !) security sharing agreement, what does it say ? 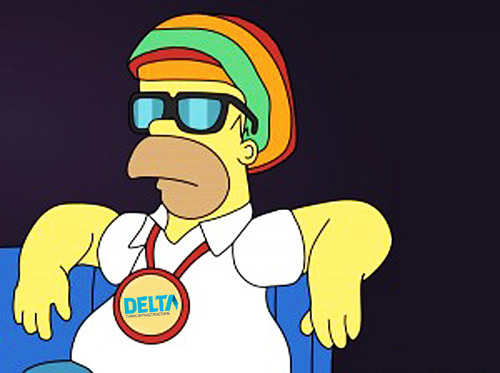 in Clause 3.2 it states “Gold Band hereby assigns to Delta…part of its right, title and interest in the Facility and the Financing Documents”. Hmm…. let’s see, Property Law Act…. “all the amounts and interests”; Mr Smillie…. “part of its right, title and interest”. As Sesame Street’s Big Bird would say, one of these things is not like the other, one of these things just doesn’t belong…. can you guess which one…. Before Osbourne J finishes his song ? (on July 29). “Despite its title [???!!!] this is probably not an assignment at all – but rather an agreement by the first mortgagee that it holds the mortgage on trust for other parties”. What a risible, ridiculous statement. If a document is titled “Partial Assignment of Debt and Security Sharing Deed”, then we are not left in the dark about its intent. Words mean what they say they mean, Robin. How could this be possibly be held “in trust” when the “trustee” (Gold Band) is being dictated to by the “beneficiaries”, being Delta, and previously, Avanti. The very slender branch that Mr Vinnell clings to is section 97 of the Land Transfer Act 1952, which contemplates that the Transferee “holds the same as a trustee for any other person”. This is not a trust. We know it is a deed of assignment because that is the title that Mr Smillie gave to it. Now, using the excuse that if it’s common practice in the “financial sector” then it must be OK (regardless of what the law says) has any sentient person falling about in paroxysms of cynical laughter. Other “common practices” in finance companies, and the banks to some degree, that has led to New Zealand having a dramatically reduced finance sector, are recklessness, short termism, venality, greed, incompetence and a casual disregard for the law and commercial ethics. (Allied Farmers, Hanover, Provincial, Capital & Merchant, Dominion Finance, Equitable, and our very own St Kilda Finance, are but a few examples). These “common practices” led to an explosion in financial regulation post GFC (Global Financial Crisis). Next readers, we shall consider what this may mean for Delta and the $3.39M they spent on this – soon to be judged illegal – partial purchase of the Gold Band first mortgage. Like all of the protagonists working for the DCC prior to the CEO of the ODT “discovering” the theft of 152+ cars who have now resigned complete with CVs relatively unscathed, just how long before Grady Cameron heads off with golden handshake appropriate to one “earning” $400k plus? Personally I say before September 1, but definitely prior to the DCC election. When you are in the gun nothing like someone falling on their sword to divert attention from the previously elected. Are we sure that Delta has not a complement of “fraudulent intent”. When CD takes off the glasses and his tea cosy, I suggest a few posts are possible around this. A figure of speech? See Homer, CD.